This is a excellent boxing trunks by the Legend. 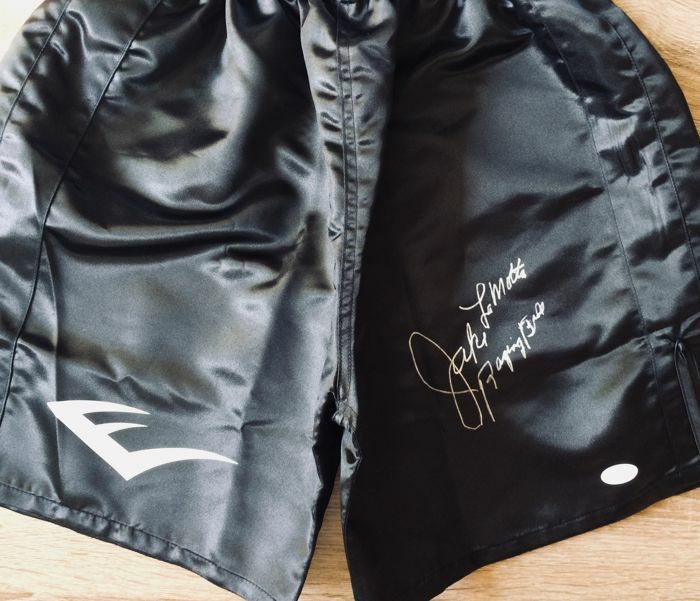 The trunks is in mint / new / perfect condition, signed in black marker to make it more beautiful. 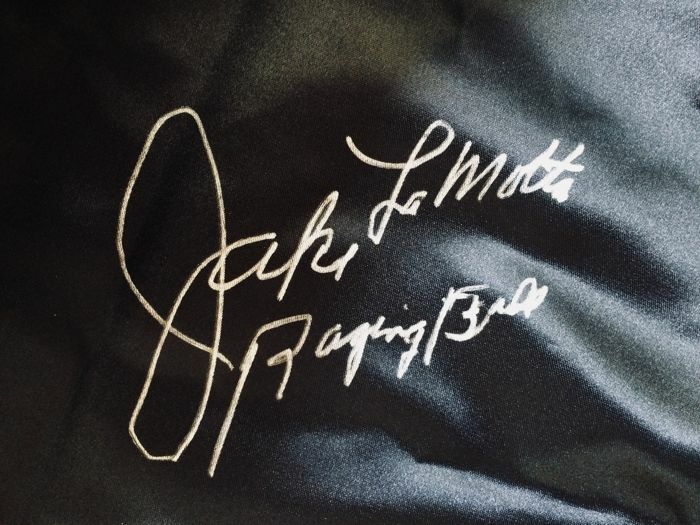 This trunks was signed by Jake LaMotta at a private signing session. 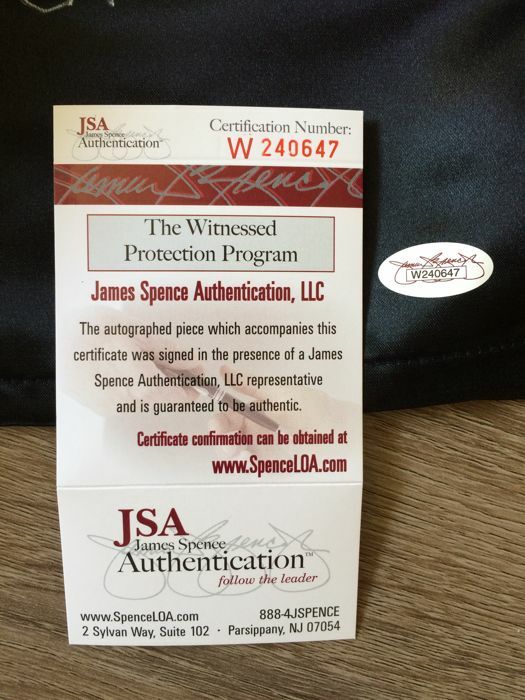 JSA Authentication Services confirms that the signature is genuine. 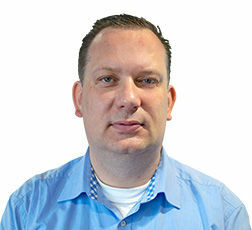 JSA they are World Leaders in the field. 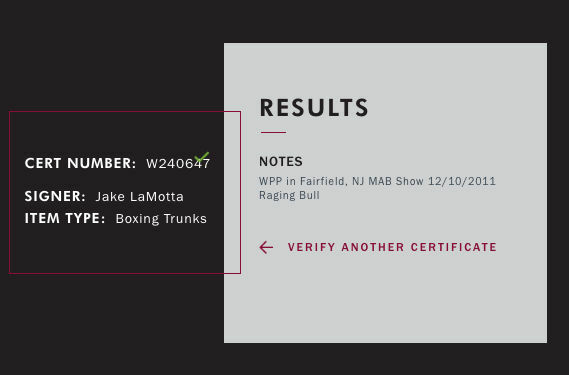 The Everlast Glove comes with a JSA Certificate of Authenticity. The Everlast Glove comes with unique JSA Authentication Hologram.